The GR 18.3mm F2.8 lens is a compact, high-performance GR lens with a focal length of 28mm (in the 35mm format). The GR II also boasts a large, APS-C- size CMOS image sensor with approximately 16.2 effective megapixels. Featuring a large, APS-C-size CMOS image sensor with approximately 16.2 effective megapixels, the GR II provides a top sensitivity of ISO 25600. The camera that offers both quality and portability. Capture the Journey. Image Quality meets Connectivity. Building upon the legacy of the award-winning GR series, the GR II offers the perfect balance between exceptional image quality and outstanding portability. It boasts a high-performance wide-angle lens and 16.2-megapixel APS-C size image sensor, delivering superb image quality with edge to edge sharpness. The GR II comes equipped with built-in Wi-Fi and NFC functions for wireless connection with smartphones and tablets while offering complete remote shooting functionality. The GR II provides a total of 17 effect modes, which allow the user to apply a variety of image processing within the camera to create the desired visual expression. Enjoy intuitive design, fast operation and wireless sharing with a compact camera that rivals DSLR image quality with the GR II. The GR II features a compact, high-performance GR lens with a focal length of 28mm (in the 35mm format). This lens incorporates two high-precision aspherical optical elements and a high-refraction, lower-dispersion glass element to minimize distortions and chromatic aberration, while reproducing sharp, high-contrast images even at edges of the image field. Thanks to its 9 blade iris diaphragm, the lens creates a truthful sense of depth and a natural bokeh effect, while allowing the user to capture beautiful light beams at closed-down apertures. The manually adjustable ND (neutral density) filter allows you to open the aperture up, even under bright sunshine, for a wider range of creative expression. The GR II’s high-speed AF system captures a subject in focus in a mere 0.2 seconds,* thanks to the optimization of its lens drive mechanism and AF algorithm and the high-speed readout of image data obtained by the image sensor. Start-up time is only one second, and the GR II’s AF Continuous Shooting function captures a series of photos at a maximum speed of approximately four images per second, allowing capture of fast-moving subjects, such as athletes and wildlife, all in incredibly sharp focus. Thanks to its increased buffer memory capacity, it continuously captures as many as 10 images in a single sequence during RAW-format shooting. * Measured in compliance to CIPA standards. The GR II captures beautiful Full HD movie clips (1920 x 1080 pixels, 16:9 ratio, 30 frame rate) in the H-264 recording format. By teaming this function with the GR lens and the large image sensor, the GR II assures high-quality movies. During movie recording, the user can also adjust exposure compensation and use the AF button to activate the AF operation, whose speed is faster than before. Three new effect modes (Bright, Portrait and Vibrant) can also be used in movie shooting. The GR II provides an in-camera RAW data development function. After shooting RAW-format images, the user can adjust a variety of parameters within the camera, and output them as JPEG-format image files. The GR II now offers a choice between Normal and Original modes for the peripheral brightness level setting. Also included in the GR II is the new CTE (Color Temperature Enhancement) mode for white-balance control, making it possible to emphasize a predominant color within the image, such as the red in sunset scenes. The GR II also features the PENTAX-original Shutter speed/Aperture Priority (TAv) exposure mode, featured only in PENTAX-brand digital SLR cameras. This innovative mode automatically sets the optimum ISO sensitivity based on the shutter speed and aperture selected by the photographer. The GR II comes equipped with wireless flash functionality. By selecting wireless flash, the built-in flash can trigger external PENTAX flashes as a slave for creative portable lighting control in the studio or out on the streets. * Compatible accessory flash units are the PENTAX AF540FGZ II, AF360FGZ II, AF540FGZ and AF360FGZ. Built-in non-directional stereo microphone Crop mode* to capture an image at a 35mm or 47mm angle of view (in the 35mm format) Chromatic Moiré Correction function Pixel Mapping function featured for the first time in a GR-Series model GW-3 Wide Conversion Lens (optional accessory) expands the angle of view to 21mm ultra-wide angle Digital Camera Utility 5, the latest utility software compatible with the GR II, included * The size of recorded pixels is fixed at M for the 35mm setting, or at S for the 47mm setting. Mode selection Auto shooting mode, Program shift mode, Aperture-Priority mode, Shutter-Priority mode, Shutter/Aperture priority mode, Manual exposure mode, Bulb mode, Time mode, Movie, My Settings Mode. AC adapter available Yes (optional). * Recording capacity above shows approximate number of shots recorded during CIPA-compliant testing. Actual performance may vary depending on operating conditions. 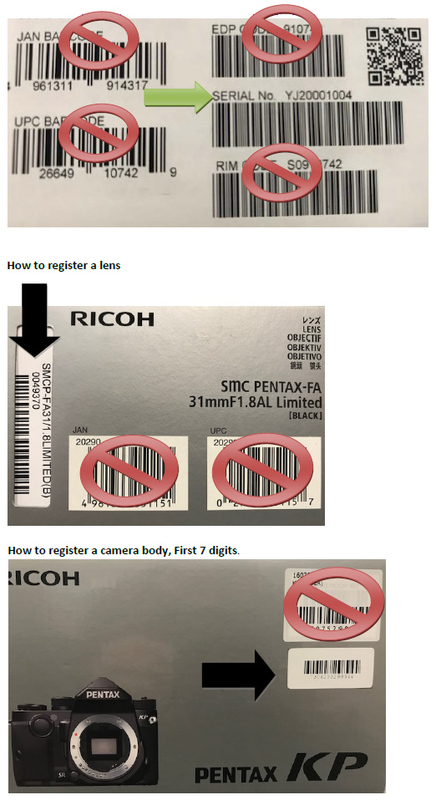 ** According to the result of Ricoh Imaging in-house testing.